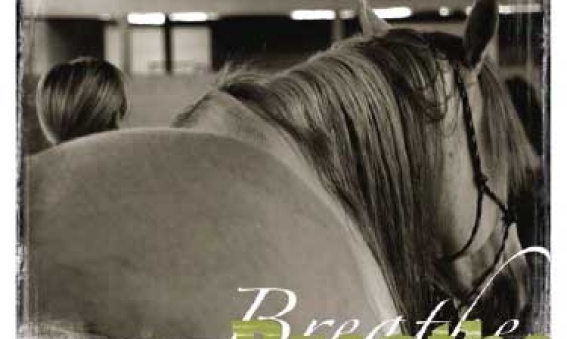 Books on Learning with Horses. Expand your leadership practice with horses, add equine assisted learning to your horsemanship practice. Workbooks and references with lesson plans, activities and supporting materials. Whether you are starting up your equine assisted learning (EAL) business or simply trying to grow an existing one. Ideas and practical knowledge on marketing, Coaching, one-on-one Leadership activities or ways to truly engage a team. Creating a business with horses? Thanks for writing it. I will be putting it down as a Key Biz Resource for 2012….it’s really well-done. Congrats!” Shannon Knapp Founder/President, Horse Sense of the Carolinas, Inc. Starting up your equine related business or simply trying to grow an existing one? In Business to Define is designed to complement your business and marketing plan with specific details on how to get crystal clear on your ideal client. Looking for more reference tools? 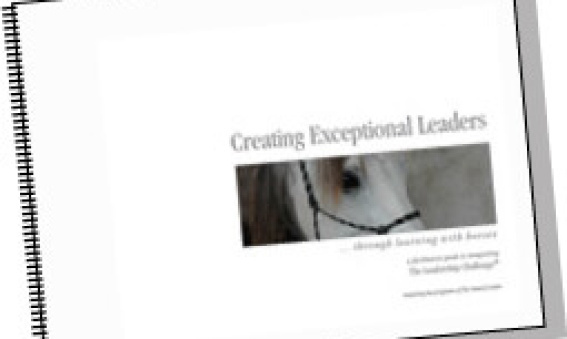 Check out The Games People Play with Horses and Creating Exceptional Leaders through Learning with Horses. 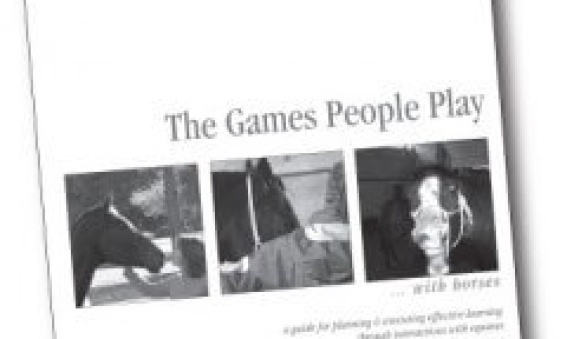 Our first publication The Games People Play with Horses – a series of activities in lesson planning format. A two Volume series of activities for effective learning with equines. Each Volume contains the combined wisdom of five different practitioners of experiential learning with horses providing 16 different activities in lesson planning format. Looking for more reference tools? 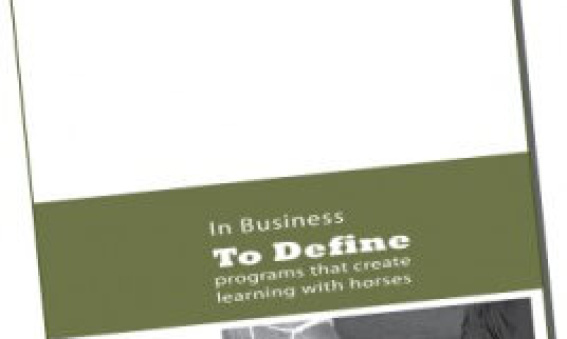 Check out In Business to Define a guide to marketing your equine business and Creating Exceptional Leaders through Learning with Horses a facilitators guide to developing a 1 or 2 day program. Each month The Natural Leader publishes an article on our Blog and features it in our Monthly Newsletter. 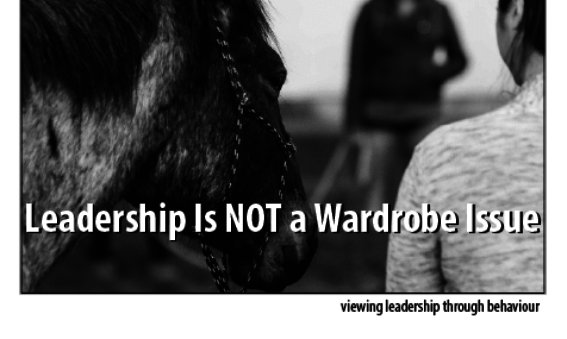 The theme typically relates to Leadership Learning through Horsemanship Activities. Every year we compile the best of the previous articles into an eBook. This is our reflection on the year 2012. Each month The Natural Leader publishes an article on our Blog and features it in our Monthly Newsletter. 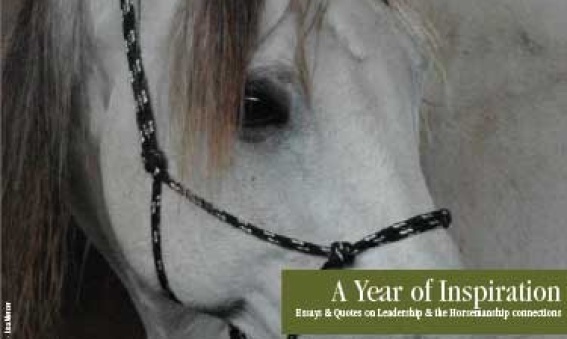 The theme typically relates to Leadership Learning through Horsemanship Activities. Every year we compile the best of the previous articles into an eBook. 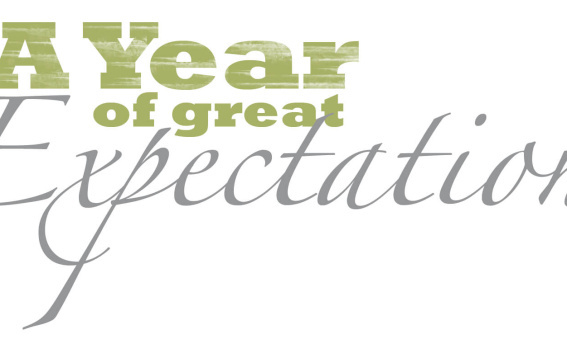 This is our reflection on the year 2011. Each month The Natural Leader publishes an article on our Blog and features it in our Monthly Newsletter. The theme typically relates to Leadership Learning through Horsemanship Activities. Every year we compile the best of the previous articles into an eBook. This is a compilation of images, essays and quotes from 2010. Each month The Natural Leader publishes an article on our Blog and features it in our Monthly Newsletter. The theme typically relates to Leadership Learning through Horsemanship Activities. Every year we compile the best of the previous articles into an eBook. This is a compilation of thoughts and images from 2009.